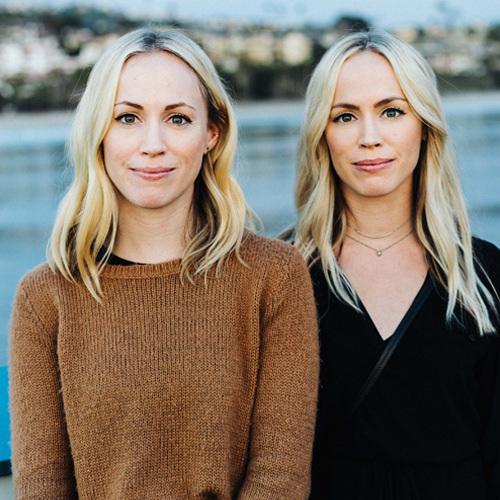 Jennifer & Amy Hood | Yellow Co.
Jennifer Hood and Amy Hood are mildly tortured artists, twin sisters (telepathy not included in this model) and co-founders of Hoodzpah, a boutique brand identity and design agency based out of Newport Beach, CA. The Hoods have worked on projects with exciting small businesses as well as with cultural pillars like Target, 20th Century Fox, ESPN, and Facebook. They’re also the authors of Freelance, and Business, and Stuff: A Guide for Creatives, a book dedicated to the ins and outs of starting, growing and running your freelance career or small business. You can grab it on their site here.